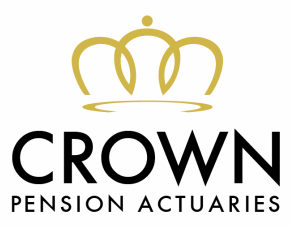 Matthew Solberg is the founder, owner, and chief actuary of Crown Pension Actuaries. Matthew graduated from Vanderbilt University in 2004 and taught high school math and chemistry for a year. Since 2005, he has been working in the pension plan industry. Matthew's first actuarial job was at a consulting firm in Cincinnati, where he gained valuable experience under the guidance of several pension actuaries. He then moved on to a defined contribution and actuarial consulting firm in Nashville, where he eventually became the managing actuary for the actuarial department. In 2014, he founded Crown Pension Actuaries. Matthew has experience working with pension plans ranging in size from 1 participant to thousands of participants, as well as with plan sponsors ranging from sole proprietors to corporations to governments. Matthew is an Enrolled Actuary under ERISA, an Associate in the Society of Actuaries, and a Member of the American Academy of Actuaries. Matthew grew up in St. Louis but now resides in the Nashville area. His degree from Vanderbilt was a Bachelor of Science in mathematics and engineering science. Aside from spending time with his wife and four daughters, Matthew also enjoys playing guitar, singing/songwriting, and running.